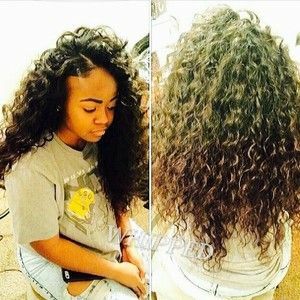 When wearing natural hair, aka leave out, over hair extensions it is important to blend your hair so the weave matches your hair texture. Your natural hair must be bone straight to match the weave. Your natural hair must be bone straight to match the weave.... Blending Tips If your unit has tighter curls than your natural hair, try doing a twist out or bantu knot out on your leave out. The less hair you leave out, the easier you will be able to blend. 26/11/2018 · Leave the bottom 1–2 inches (2.5–5.1 cm) of your hair sticking out of the curling iron as you do this. Leaving the hair out at the bottom will create a wave style while curling the bottom will result in a more polished, curly look.... 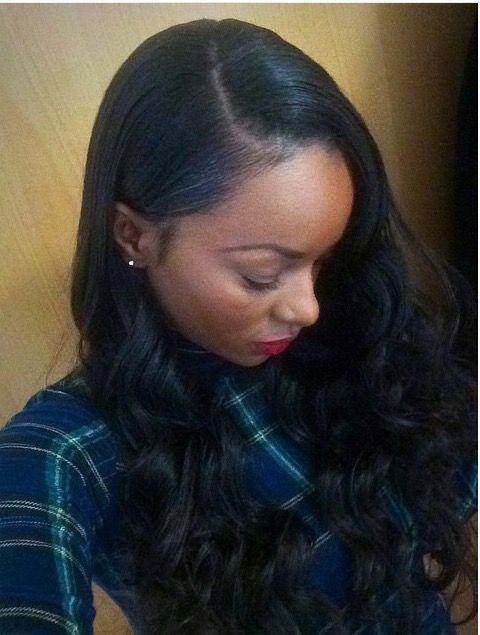 This way both your hair and the weave will, over time, take the same heat and will blend more naturally together. If you don’t want to deal with more high maintenance curly hair (I totally get it) consider getting a natural wave over straight hair. But that is my two cents. Take it or leave it. 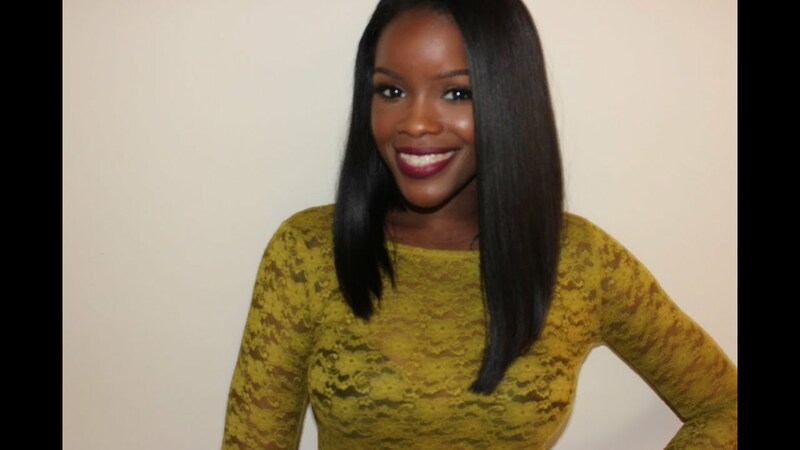 This way both your hair and the weave will, over time, take the same heat and will blend more naturally together. If you don’t want to deal with more high maintenance curly hair (I totally get it) consider getting a natural wave over straight hair. But that is my two cents. Take it or leave it.... This way both your hair and the weave will, over time, take the same heat and will blend more naturally together. If you don’t want to deal with more high maintenance curly hair (I totally get it) consider getting a natural wave over straight hair. But that is my two cents. Take it or leave it. It also causes my leave out to revert back to its curly state, and look less than blendable with my ‘silky malay lay’ (Haha) weave! That’s not hot! And because natural hair comes first, I had to find a heatless, damage free method to straighten my leave out for blending. Having highlights added to weave hairstyles is a great way to blend in the tones of your own hair with the weave for a totally natural look. Depending on your base colour, copper shades, caramel, honey or warm medium brown are the best highlights to add to weave hairstyles on brunette or black hair. I swear by TRESemmé ‘Restructuring Deep Conditioning Treatment Masque’ I use this on the weave as well as on my natural hair. To deep condition: I apply the treatment to wet hair – if its a wig I put it in a plastic bag and leave it for a few hours before washing it out – if its a sew in, I put my hair in a shower cap or wrap it in cling film for a few hours before washing it out. 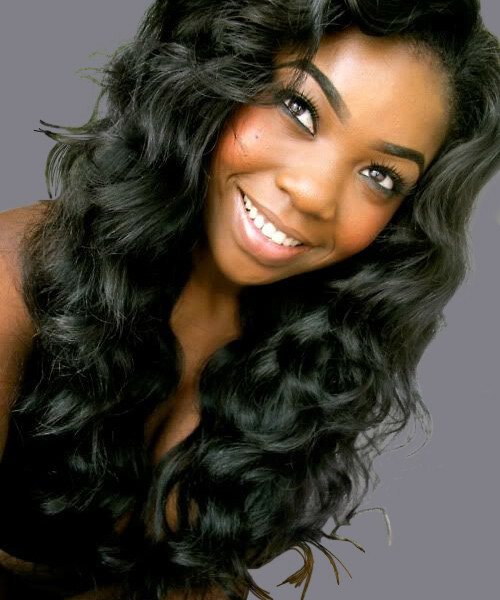 This way both your hair and the weave will, over time, take the same heat and will blend more naturally together. If you don’t want to deal with more high maintenance curly hair (I totally get it) consider getting a natural wave over straight hair. But that is my two cents. Take it or leave it.